Looking for one of the best Hyderabad petrol pumps in Chandanagar area? Luck is in your favor! There are no genuine petrol pumps in Chandanagar area. But the below mentioned one (Bharat) is a better among all. When you are heading from Taranagar bus stop to Adarsh Nagar on the Lingampally main road, you will come across a railway track. 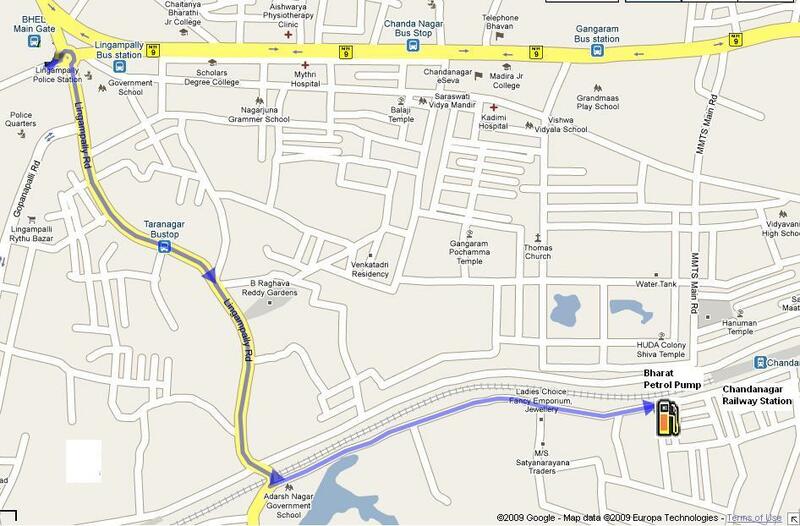 Cross the railway track and you’ll see a road to the left of the regular Lingampally main road. Adarsh Nagar Govt. School to the right side of the road can serve you as a landmark here. Keep yourself on the road counting the number of right turns. Skip to the fourth right turn and you will be able to see the Bharat petrol pump there. I am sure there are lot more short cuts to reach this pump once you identify the right destination. But the directions we provided here are straight forward to help find the pump easily and for the people who are new to the area. It is not necessary to drive towards this petrol pump if you are to fill up 1 or 2 liters. You can find one to the right side of the Lingampally main road in the same area. But it is really a value addition if you are trying to fill up in bulk here. This entry was posted on Nov 2009 at 12:05 PM	and is filed under West Zone. You can follow any responses to this entry through the RSS 2.0 feed. Your Feedback Matters! I filled with this petrol bunk for 5 times. I am getting very much pollution with this Bharat petrol bunk of which you said near railway track. This is a “waste” petrol bunk.